The 1987 sci-fi action movie RoboCop may have painted Detroit as a place plagued by crime and corruption, but the movie remains a beloved part of the city's identity anyway. Mayor David Bing discovered this when he blithely replied to a tweet demanding a commemorative statue made of the cyborg police officer, saying there were no plans for such an art installation. 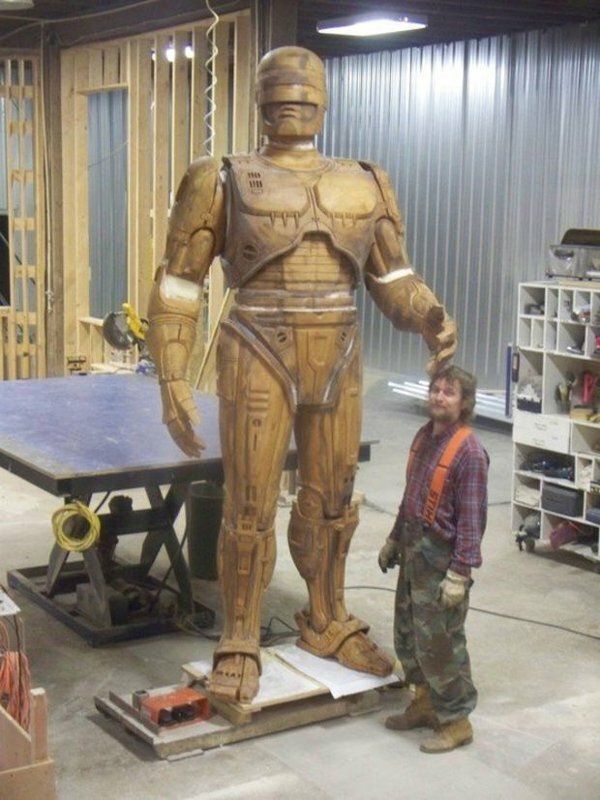 But even without the mayor's support, this idea took off online, spurring the creation of a Kickstarter campaign that asked for $50,000 to make a RoboCop statue a reality. In the end, fundraiser starter Imagination Station Detroit pulled in more than 2,700 backers and $67,436, cementing plans for its creation-- while, simultaneously, a remake of the original movie was underway, though shooting in Toronto instead of native Detroit. . 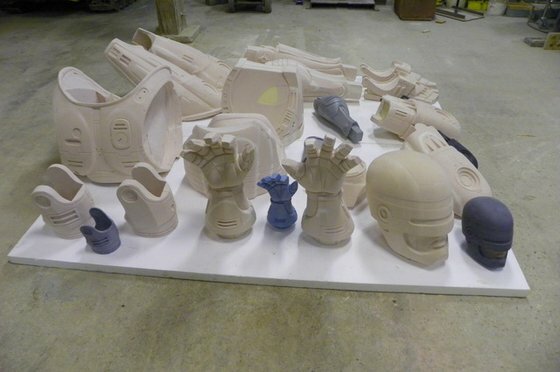 Since the campaign kicked off in 2011 ISD has been busy at work getting RoboCop recreated to the finest detail. The Michigan news site MLive has revealed updates on the project, including images of RoboCop's current stage of construction-- all in one piece, but still waiting to be cast in bronze..
Walley expects the statue will be completed by the end of summer 2014, though notes it's more important to get it just right than hit some deadline. As for RoboCop's final destination within Detroit, that is yet to be determined.